With docker-compose installed, we can now use the docker-compose.yml file to combine several steps into one. In this case the four docker build commands along with the subsequent docker run commands will be handled with one docker-compose.yml file. In your favorite editor, vi perhaps, create the docker-compose.yml file in the directory with your current “Dockerfile” files. dbryant@asus: ls add2.js docker-compose.yml Dockerfile_d Dockerfile_s divide2.js Dockerfile Dockerfile_m multiply2.js dbryant@asus: cat docker-compose.yml add: build: . dockerfile: Dockerfile ports: - "3000:3000" subtract: build: . dockerfile: Dockerfile_s ports: - "3001:3001" multiply: build: . dockerfile: Dockerfile_m ports: - "3002:3002" divide: build: . dockerfile: Dockerfile_d ports: - "3003:3003"
I have found the docker-compose.yml file to extremely finicky with spacing, tabs, and line feeds so it make take a few times to get the file structure correct. Once done, we can now use the docker-compose up command to perform the build and run of the four images. In essence, the docker-compose.yml file uses the Dockerfiles identified to build the images and in this situation, exposes the math functions on the various ports 3000, 3001, 3002, 3003.
dbryant@asus:~/development/github.com/Docker/Docker_Calc$ docker images REPOSITORY TAG IMAGE ID CREATED SIZE dbryant@asus:~/development/github.com/Docker/Docker_Calc$ dbryant@asus:~/development/github.com/Docker/Docker_Calc$ docker-compose up Building multiply Step 1/8 : FROM oraclelinux:7-slim 7-slim: Pulling from library/oraclelinux 3152c71f8d80: Already exists Digest: sha256:e464042b724d41350fb3ac2c2f84bd9d28d98302c9ebe66048a5367682e5fad2 Status: Downloaded newer image for oraclelinux:7-slim ---> c0feb50f7527 Step 2/8 : ADD node-v6* /opt/ ---> e3bc3a113c3d Removing intermediate container f4f355ae55b5 Step 3/8 : ENV PATH /opt/node-v6.11.1-linux-x64/bin:$PATH ---> Running in 3e2731e6ca82 ---> 6cc0e7aaf81b Removing intermediate container 3e2731e6ca82 Step 4/8 : ENV NODE_PATH /opt/node-v6.11.1-linux-x64/lib/node_modules/ ---> Running in 7029d5a7d4ed ---> b370b425a9e7 Removing intermediate container 7029d5a7d4ed Step 5/8 : RUN npm install -g express ---> Running in 5c58fa043b20 /opt/node-v6.11.1-linux-x64/lib `-- express@4.15.4 +-- accepts@1.3.4 | +-- mime-types@2.1.16 | | `-- mime-db@1.29.0 | `-- negotiator@0.6.1 +-- array-flatten@1.1.1 +-- content-disposition@0.5.2 +-- content-type@1.0.2 +-- cookie@0.3.1 +-- cookie-signature@1.0.6 +-- debug@2.6.8 | `-- ms@2.0.0 +-- depd@1.1.1 +-- encodeurl@1.0.1 +-- escape-html@1.0.3 +-- etag@1.8.0 +-- finalhandler@1.0.4 | `-- unpipe@1.0.0 +-- fresh@0.5.0 +-- merge-descriptors@1.0.1 +-- methods@1.1.2 +-- on-finished@2.3.0 | `-- ee-first@1.1.1 +-- parseurl@1.3.1 +-- path-to-regexp@0.1.7 +-- proxy-addr@1.1.5 | +-- forwarded@0.1.0 | `-- ipaddr.js@1.4.0 +-- qs@6.5.0 +-- range-parser@1.2.0 +-- send@0.15.4 | +-- destroy@1.0.4 | +-- http-errors@1.6.2 | | `-- inherits@2.0.3 | `-- mime@1.3.4 +-- serve-static@1.12.4 +-- setprototypeof@1.0.3 +-- statuses@1.3.1 +-- type-is@1.6.15 | `-- media-typer@0.3.0 +-- utils-merge@1.0.0 `-- vary@1.1.1 ---> dbc77ff00d97 Removing intermediate container 5c58fa043b20 Step 6/8 : ADD multiply2.js . ---> 2426ecb359c2 Removing intermediate container 136f55d5a34d Step 7/8 : EXPOSE 3002 ---> Running in f1088f80a7a6 ---> c51ebc6c96f4 Removing intermediate container f1088f80a7a6 Step 8/8 : CMD node multiply2.js ---> Running in ab9ba3505470 ---> a9bd02502eb9 Removing intermediate container ab9ba3505470 Successfully built a9bd02502eb9 Successfully tagged dockercalc_multiply:latest WARNING: Image for service multiply was built because it did not already exist. To rebuild this image you must use `docker-compose build` or `docker-compose up --build`. Building add Step 1/7 : FROM oraclelinux:7-slim ---> c0feb50f7527 Step 2/7 : ADD node-v6* /opt/ ---> Using cache ---> e3bc3a113c3d Step 3/7 : ENV PATH /opt/node-v6.11.1-linux-x64/bin:$PATH ---> Using cache ---> 6cc0e7aaf81b Step 4/7 : ENV NODE_PATH /opt/node-v6.11.1-linux-x64/lib/node_modules/ ---> Using cache ---> b370b425a9e7 Step 5/7 : RUN npm install -g express ---> Using cache ---> dbc77ff00d97 Step 6/7 : ADD add2.js . ---> 4918e0593ae4 Removing intermediate container f4a9e564b16a Step 7/7 : CMD node add2.js ---> Running in ffcd4de5bd01 ---> e8af879c151a Removing intermediate container ffcd4de5bd01 Successfully built e8af879c151a Successfully tagged dockercalc_add:latest WARNING: Image for service add was built because it did not already exist. To rebuild this image you must use `docker-compose build` or `docker-compose up --build`. Building subtract Step 1/8 : FROM oraclelinux:7-slim ---> c0feb50f7527 Step 2/8 : ADD node-v6* /opt/ ---> Using cache ---> e3bc3a113c3d Step 3/8 : ENV PATH /opt/node-v6.11.1-linux-x64/bin:$PATH ---> Using cache ---> 6cc0e7aaf81b Step 4/8 : ENV NODE_PATH /opt/node-v6.11.1-linux-x64/lib/node_modules/ ---> Using cache ---> b370b425a9e7 Step 5/8 : RUN npm install -g express ---> Using cache ---> dbc77ff00d97 Step 6/8 : ADD subtract2.js . ---> b87fd184c682 Removing intermediate container 230a1bd82ed5 Step 7/8 : EXPOSE 3001 ---> Running in a3ce90e09053 ---> 4251062554a8 Removing intermediate container a3ce90e09053 Step 8/8 : CMD node subtract2.js ---> Running in 992df846b962 ---> 2e16507c16a6 Removing intermediate container 992df846b962 Successfully built 2e16507c16a6 Successfully tagged dockercalc_subtract:latest WARNING: Image for service subtract was built because it did not already exist. To rebuild this image you must use `docker-compose build` or `docker-compose up --build`. Building divide Step 1/8 : FROM oraclelinux:7-slim ---> c0feb50f7527 Step 2/8 : ADD node-v6* /opt/ ---> Using cache ---> e3bc3a113c3d Step 3/8 : ENV PATH /opt/node-v6.11.1-linux-x64/bin:$PATH ---> Using cache ---> 6cc0e7aaf81b Step 4/8 : ENV NODE_PATH /opt/node-v6.11.1-linux-x64/lib/node_modules/ ---> Using cache ---> b370b425a9e7 Step 5/8 : RUN npm install -g express ---> Using cache ---> dbc77ff00d97 Step 6/8 : ADD divide2.js . ---> a614ae005246 Removing intermediate container 129ab6d193ed Step 7/8 : EXPOSE 3003 ---> Running in 407631099de2 ---> 96c365ac8705 Removing intermediate container 407631099de2 Step 8/8 : CMD node divide2.js ---> Running in e77f1c4a0276 ---> 7c528b7728f1 Removing intermediate container e77f1c4a0276 Successfully built 7c528b7728f1 Successfully tagged dockercalc_divide:latest WARNING: Image for service divide was built because it did not already exist. To rebuild this image you must use `docker-compose build` or `docker-compose up --build`. Creating dockercalc_divide_1 ... 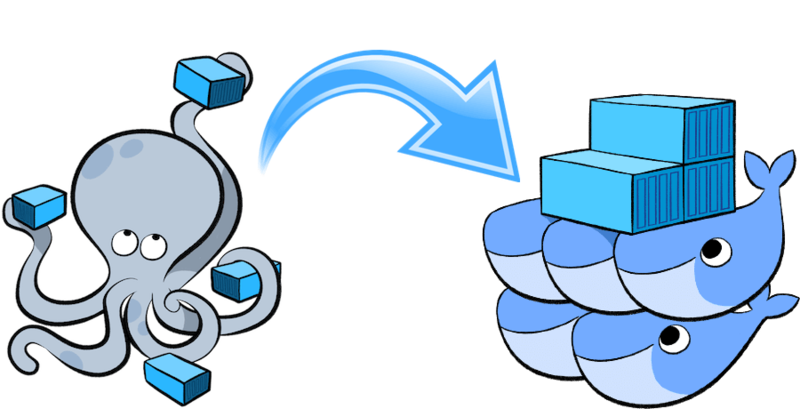 Creating dockercalc_multiply_1 ... Creating dockercalc_add_1 ... Creating dockercalc_subtract_1 ... Creating dockercalc_divide_1 Creating dockercalc_add_1 Creating dockercalc_subtract_1 Creating dockercalc_multiply_1 ... done Attaching to dockercalc_divide_1, dockercalc_add_1, dockercalc_subtract_1, dockercalc_multiply_1 divide_1 | Division service listening on port 3003! add_1 | Addition service listening on port 3000! subtract_1 | Subtraction service listening on port 3001! multiply_1 | Multiplication service listening on port 3002! Step 6/8 : ADD multiply2.js . WARNING: Image for service multiply was built because it did not already exist. To rebuild this image you must use `docker-compose build` or `docker-compose up --build`. Step 6/7 : ADD add2.js . WARNING: Image for service add was built because it did not already exist. To rebuild this image you must use `docker-compose build` or `docker-compose up --build`. Step 6/8 : ADD subtract2.js . WARNING: Image for service subtract was built because it did not already exist. To rebuild this image you must use `docker-compose build` or `docker-compose up --build`. Step 6/8 : ADD divide2.js . WARNING: Image for service divide was built because it did not already exist. To rebuild this image you must use `docker-compose build` or `docker-compose up --build`. divide_1 | Division service listening on port 3003! add_1 | Addition service listening on port 3000! subtract_1 | Subtraction service listening on port 3001! multiply_1 | Multiplication service listening on port 3002! At the end of this process, you can see that all four “microservices” are up and running. We can verify a few things. We can even test this with the curl command. The %20 represents a space between the two operands.